We all know how important it is to stay hydrated, year round, but this is especially important in the summer. When the weather is hot and you are spending much of the day outside being active, it is extra important to drink more fluids than usual and most especially that you are doing so before you start feeling thirsty – as that is a sure sign you are on your way to dehydration. Getting rid of waste through urination, perspiration, and bowel movements. Lubricating and cushioning your joints. Protecting your spinal cord and other sensitive tissues. Infuse and flavor your own water. 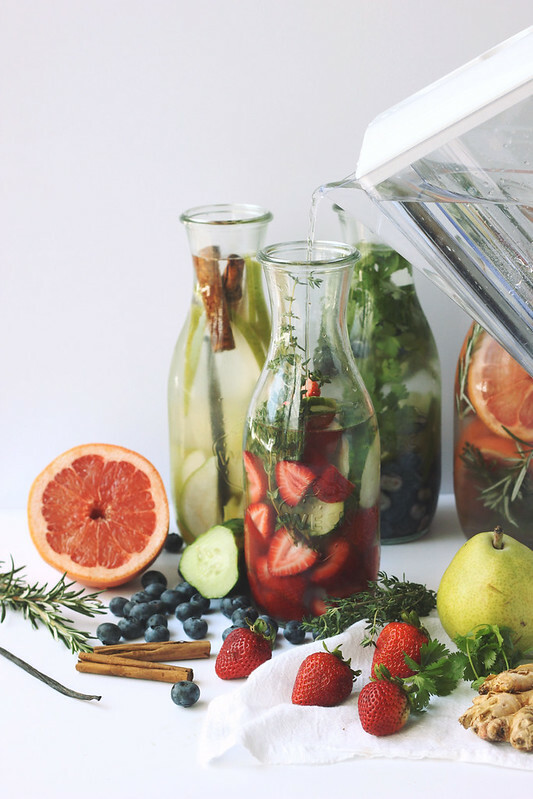 For infused water, there really is no recipe, exactly. 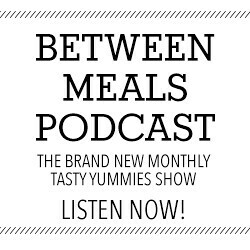 There are no right or wrong measurements, it’s all based on taste and what you have on hand. As important as staying hydrated is and as delicious as infused waters are – it is also just as important to know the purity of the water you are drinking. We have an Aquasana Powered Filtration System in our home and I have to tell you, I had NO CLUE that water could actually taste better. We always had a run of the mill filtration pitcher in the fridge to do the best we could to purify our water but when I received the Aquasana Filtration System, it was a whole new ball game. Patent Pending Powered Filtration Technology never before available in a pitcher. Delivers performance of a professional grade installed filtration system for a fraction of the price – no plumbing or installation required. Fast Filtration in just seconds. Traditional pitchers use gravity to slowly trickle water over filter granules. The Aquasana Powered Water Filtration System uses power to filter water fast, right before your eyes. Ultimate Purity – Filters 10x the contaminants (60 total) of the leading pitcher filter and is the only pitcher on the market tested to remove 96% of chlorine and chloramines (chlorine + ammonia disinfectant). Ultra delicious – the purest water you’ve ever tasted. Naturally occurring minerals in your water like Calcium, Potassium and Magnesium are retained by our selective Claryum filtration, leaving you with healthier, delicious water! All components are BPA free. 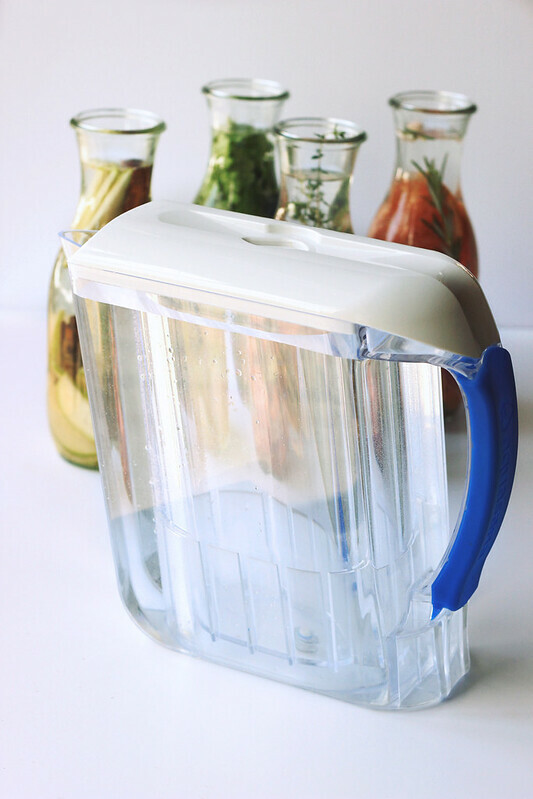 Complete System – includes a portable ½ gallon pitcher you can easily fit in your fridge and a one gallon dispenser for on-demand water at the push of a button. Includes your first Claryum filter that will last 320 gallons or 6 months before needing a replacement. With the Aquasana Powered Water Filtration System you get faster filtration, more contaminant removal, longer lasting filters for half the price per gallon compared to the leading drip pitcher filter. This post is by sponsored by Aquasana. I received an Aquasana Powered Water Filtration System to review and was compensated for my time. I was under no obligations. All opinions are all mine. Oh my! I would love to win this filtration system! I currently use a Britta filter and it takes forever! But we wouldn’t dare go without it, our water is funky! Keeping my fingers crossed. I drink lots of water–it’s almost all i drink right now. I’m super intrigued by the filtering system, thanks! I follow those tips – water first thing in the morning and before every meal. Then I drink water all day at my desk, too! What a fabulous post — I’m definitely guilty of not drinking enough water, so i really need this tutorial! Maybe I can get my husband to drink more water with your infusing ideas! I’ve been off any sodas for two years. Water is my main drink and I love it! I’ve started using an app to keep track of my water consumption. It definitely reminds me to keep drinking water throughout the day! Love infused water! One thing I’ve noticed is it is a great detox for me! Law at feel so energized! I’ve been looking at aquasana filters! I love this giveaway! I take water with me everywhere to try and stay hydrated. I went to a vegan place in Philly where they had water with cucumber and lemon! I made it at home as soon as I could and I’ve been hooked ever since! Perfect for summer and bikini season!!! 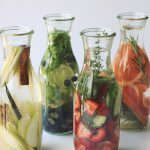 I drink water all day long, especially while I’m out walking dogs (my day job), but I’m super excited to try these infused waters! The water at my house is pretty yucky but I haven’t been able to afford a filter. 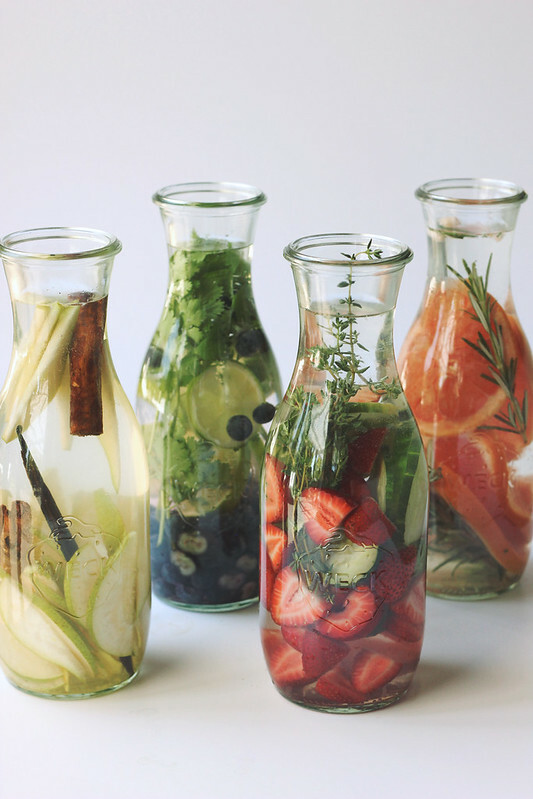 It would be wonderful to have one and be able to try all these yummy infusions with filtered water. In the mean time hopefully the infusions will help with the taste of our water. Would LOVE to win this aquasana water filter. Trying to get my husband to drink more water. It’s like pulling teeth! lol. Maybe this and your recipes for the flavored waters will help. Thanks for the opportunity. I hate tap water but wasn’t sure what kind of filtration system to use. I would love to win this system and then infuse my water. I am terrible at drinking enough water! I am terrible at drinking enough water each day. Infusing it is a great idea! My tap water tastes terrible – it would be great to win this filtration system. 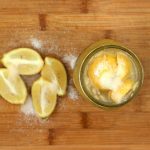 I fill 3-4 qt mason jars with water and lemon every day and keep in the fridge. 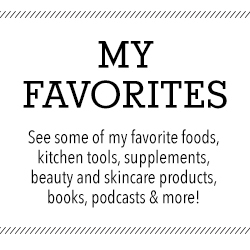 I would love to win the aquasana filtration system! Thanks for the opportunity. 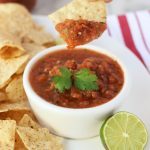 Happened upon your blog recently and love your fresh ideas. I drink a lot of herbal teas as well as straight water to stay hydrated throughout the day, but I’m going to start making some infused water right now! 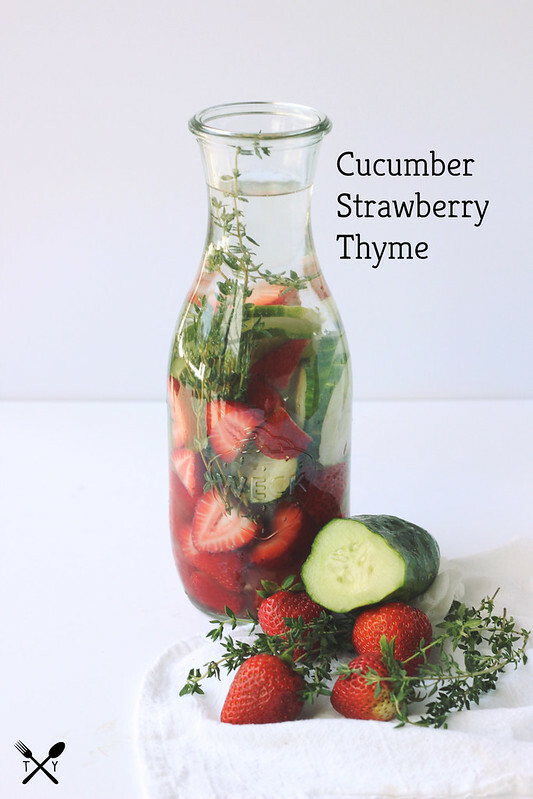 Absolutely love water with lemon and cucumber or strawberries and mint – so refreshing! awesome post! love it. thanks so much for the insight & ideas. Well Beth, You’ve done it again! Wonderful post and giveaway. Love all the water combinations that you posted! I am six months pregnant so I try and drink as much water as possible. I also juice twice a day. This water filtration system would make an excellent addition to my house! 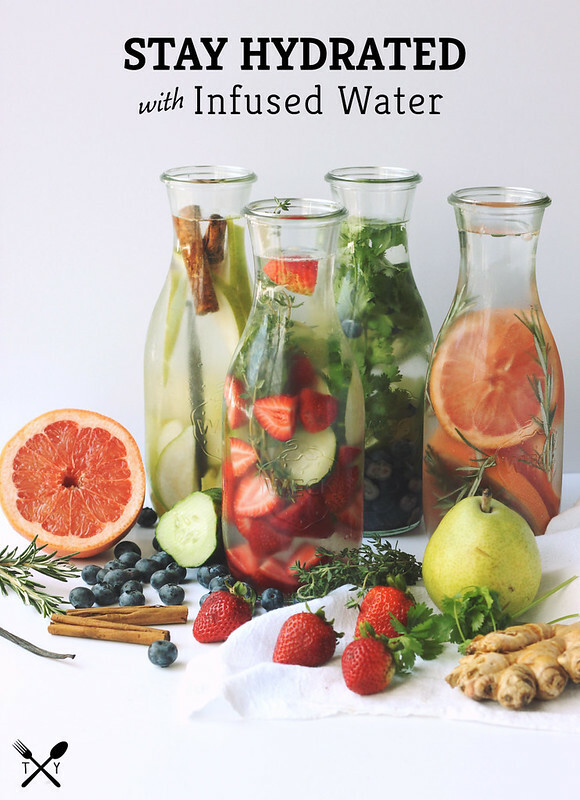 I love infused waters to stay hydrated in the summer….I’m definitely going to try adding some spices/herbs since I’ve only ever experimented with fruits! I stay hydrated all year round by starting off my day with 1 glass of pure water, 1 glass of water mixed with Greens powder and a smoothie also made with filtered water. Then I continue to drink water throughout the day. I always bring filtered water from home. Sometimes I add a lemon. retirement plan. I would love to win this because it would be the only way I would have one. Love, it. Oh and I love your web sight I have learned a lot from you. I keep cases of water bottles on reserve and my fridge stocked with cold bottles at all times. I make a goal to drink a certain amount per day, and aim to achieve that goal daily. It would be such a treat to win this awesome filtration system for my family! 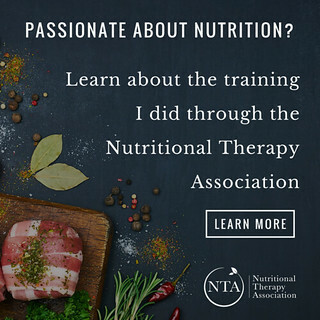 Thank you for this opportunity, Beth & Aquasana!! plenty of water with lemon! I drink infused water all day long! I am OBSESSED with infused water and always drink at least 60 oz everyday as I’m supposed to! This would be amazing to win because my PUR filter is getting pretty expensive to maintain and the water doesn’t taste much different than our tap water. Really hope I can win this for our family!! I just started to infuse water with fruit and herbs,as well as cucumber.. Already doing infused waters. This filtration system looks awesome, hope to win. These would be great for a party they are so pretty! We still drink water out of the tap….but I’ve been wanting a filtration system for some time. 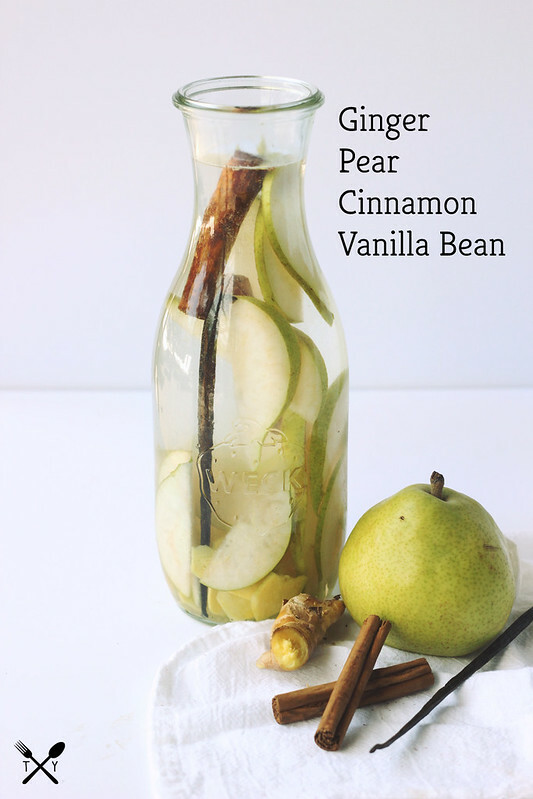 Love your infused water combos. Hi Beth! Although I rarely comment, I want you to know I love your blog and thank you for what you do. 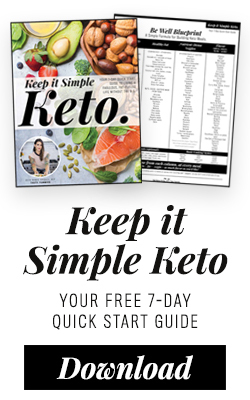 I have a question about the infused water (which I’m so excited to try!). Do you ever put the leftover fruits/veg/herbs into a smoothie after the week is up, or is it usually too far gone by then? I like to make ice with fruit in it to put in my water, but these recipes look so good. I stay hydrated with at least one coconut water per day, and by carrying around a mason jar of water, but these flavored waters look AMAZING. Will be trying them for sure! 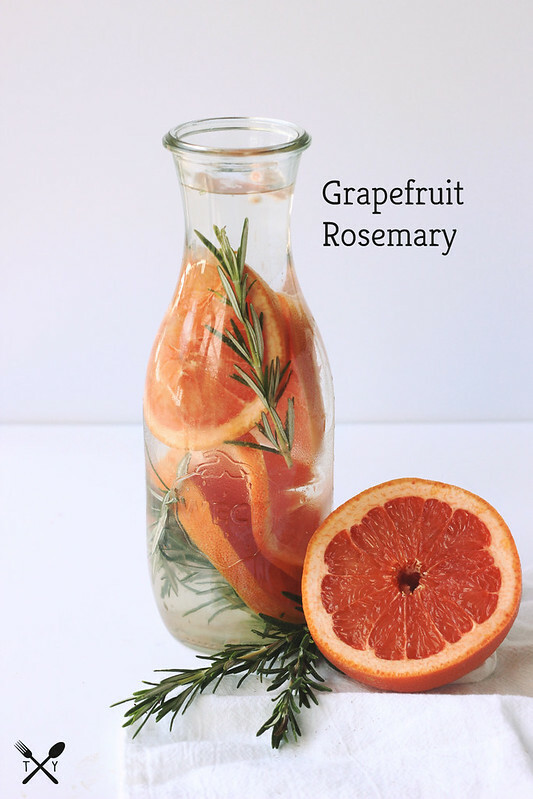 First up, the grapefruit/rosemary one. Thanks for this! I’ve been searching for the best the best filtration system. Would love to win this! Water and fresh fruit! I recently started infusing my water and was amazed at what a difference it makes! I’m excited to try out some of these different combos! I drink water and tea as much as I can. 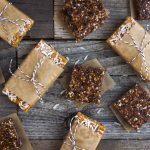 These recipes will help more! 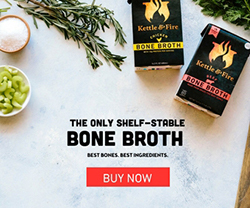 These recipes sound great, thanks for sharing! Thanks for the giveaway. We have horrible quality local water so a filtration system is a must. I drink water and eat raw food. I start hydrating with a glass of room temp lemon water. Take a 20 oz plain water and a 20 oz infused water to work each day. I stay hydrated by carrying my 1.5 liter Nalgene with me wherever I go. I also have a 2 liter mason jar to ensure I drink enough water throughout the day. I have just started diffusing water with strawberries, blueberries and cucumbers and it has been so tasty. I cannot wait to try these other combinations. Right now I’m drinking just water from a Brita filter. Would love to try this filter system! I take a big water bottle with me first thing in the morning to the gym. I then take my infuser water bottle with me all day and refill it as necessary. Trying to get at least 106 oz of water is hard to do when not carrying water constantly. Here in Florida we drink a lot of coconut water which may be the most hydrating water of all; I imagine that these drinks would taste wonderful with the ingredients infused into the coconut water. Lots of water and herbal tea. The water infusions look awesome! Thanks for all the great ideas! You must try pineapple + rosemary…. so refreshing! I use sodas team and my favorite infusion is with lemons, limes, cherries, strawberries, & blueberries. I stay hydrated by using a 20 oz. clear water bottle and try to take it with me wherever I go (even just around the house). Only three times through the bottle and I’m pretty set with water intake for the day. It helps tremendously having the visual of how much water I have drank/have yet to drink. I make and drink infused water all the time. This was my go to when I stopped drinking soda. 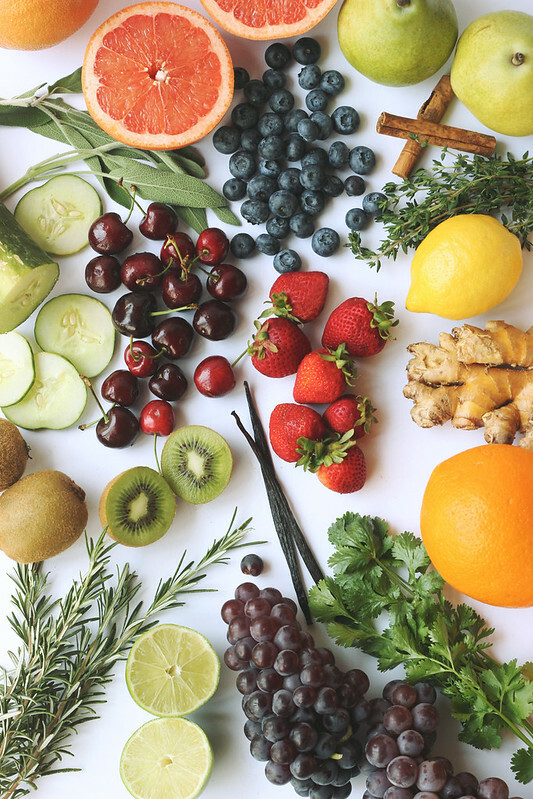 I drink up to 115 ounces of water a day so, infusing it with fruit, herbs and spices helps. I use lemon infused water every morning and throughout the day. I also drink fruit, veggie, and herb infused water during the day to help boost my water consumption. I love it! these photos are all so lovely!! i can’t decide if i’d rather drink the waters or stare at them. so beautiful, beth! Thanks for making such a fitting post for these warm summer days. Water doesn’t have to be boring or tasteless anymore! I will be making more than a few of your recipes in this summer. I stay hydrated by filling up a gallon jar and trying to drink it all by the end of the day! I look forward to trying it with these different flavors. I carry a large bottle of water with me at all times. This filtration system sounds like it would help a lot with keeping that bottle full of filtered water! JUMBO Brita filters + refilling VOSS water bottles. I love your suggestion about taking them with you everywhere though. I’m just about to leave the house and I know I’ll end up thirsty. Got to stay hydrated in the Florida heat! I haven’t experimented with herbs but I’ve tried: lemon, lime, mixed berries + lemon, cucumber + mint + lemon. So I guess mostly fruits. I can really tell the difference with a filter. Would love to try this one. and here I thought just having mint in my water was infusing it…I have never tried puttin gfruit & herbs together! YUM. I don’t do a great job of staying hydrated in the summer, honestly. Maybe a jug of infused water on the table would be a good reminder! Another great add-in is green tea! Zero calories and full of antioxidants. Mix the chilled tea with some mint and lemon and you have a delicious drink full of vitamins and antioxidants! I stay hydrated with filtered water and a slice of lemon. I also make an herb tea with loose herbs that I allow to steep overnight. After straining it in the morning, I take a quart of it to work with me. This filter would improve both my beverages, thank you for the offer. I try to stay hydrated by choosing water over anything else. I love water infused with natural things, it’s so refreshing. I love this Aquasana Filter . thanks for the great ideas of drinking water for an interesting taste. I drink water, lemon water in the mornings, though I am going to do so much more with these recipes. Thanks. I always have a full glass of water sitting on the kitchen counter. I’ll down the entire thing (and refill) every time I pass it. I drink lots of liquid especially water! Lemon water, and infused water with lemon and basil. 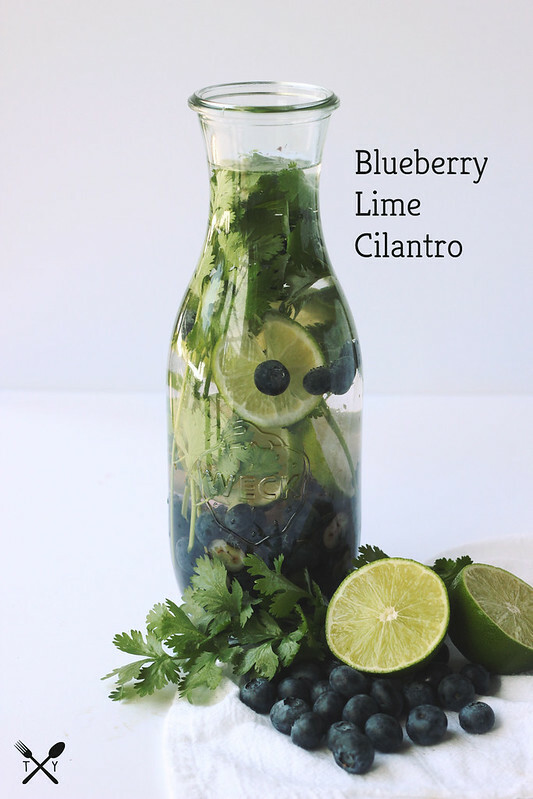 I enjoy infused waters on a hot summer day, very refreshing! 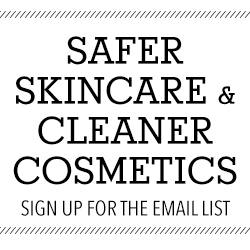 Can’t wait to try some of your favorites! Thanks for the ideas! I would love to have this!!!!! Freeze watermelon to infuse water and drop in fresh basil…or cucumber and mint.. So refreshing! We drink tons of water. I like infusing my water with watermelon &!spearmint fresh from the garden. Thanks Katie! Glad you enjoyed. I like different water tastes to be refreshed of during the day. Thank you.